When a plumbing problem happens, you don’t have time to sit around on hold with one of those huge, corporate giants who will put your crisis on their long “to-do” list. You need fast service, whether it’s day time or late in the evening. Downriver Plumbers realizes you need an immediate response if you’re dealing with a sump pump malfunction, water in your basement, sewer clog, backed up drain, leaky pipes or other such issues. That’s why we have a team that’s ready to go any time, every day of the year. Don’t try to handle a plumbing emergency yourself, it’s not worth the risk. You might think you can safely unclog a drain or inspect your sump pump in a flooded basement, but the smart move is to call a licensed, certified plumbing contractor in Downriver MI. Our specially trained plumbers are experience reacting to every kind of residential plumbing crisis you can imagine. 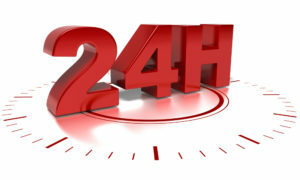 We’re proud that our customers have rated us #1 in 24/7 Plumbing Emergency Services. 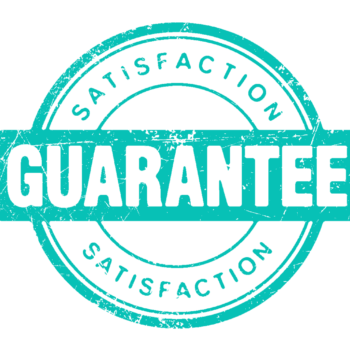 All of our work is guaranteed, and our materials come with the best warrantees you can find. If you need a new water heater, we’ll take care of it. Frozen or busted pipes on Christmas morning? We will unthaw them. It doesn’t matter what the weather’s like, what time of day, day of the week, or holiday, we show up and won’t leave till the job’s done. If we had a dime every time one of our loyal customers has called or sent us a thank you card for our prompt, professional service, we would be millionaires. When you’re facing a potential flooded basement due to a faulty sump pump, or water is backing up into your kitchen from a clogged drain, you need urgent attention – now! Downriver Plumbers’ staff have years of training on how to quickly and expertly assess plumbing emergencies, from inspection to correction. We can remove and replace copper pipes, replace or repair your sump pump, take care of frozen or busted pipes, and unclog your plumbing system. If you need help with water damage, we have an agreement with Downriver Restoration, a company that’s certified to remove water and dry your flooded basement. We’ve always put our customers first, providing the best plumbing repairs and services in Downriver Michigan. You’re like family to us, so when you’ve got a plumbing problem, we don’t want you to worry because we guarantee we can make it go away – fast. All it takes is one phone call to 734-548-9925. Our plumbing professionals will walk you through the process and get your insurance claim started, if applicable. Once you call us, we’ll get you scheduled for your complimentary plumbing inspection and assessment. Once we’ve determined the problem, we’ll bring the necessary equipment, uniforms and safety gear to eliminate your plumbing crisis. There’s no plumbing emergency we can’t fix – you have our word on that. There’s no need to panic – Downriver Plumbers is in your corner. Don’t take chances by wading into a flooded basement or tinkering with pipes. And by all means don’t use a hair dryer in order to thaw frozen pipes – you could be electrocuted. We use state-of-the-art equipment and industry-rated tools to examine, repair and replace faulty plumbing systems. We’re proud to be the best in Southeast MI. We’re your top local plumbing contractor, serving 18 cities Downriver. 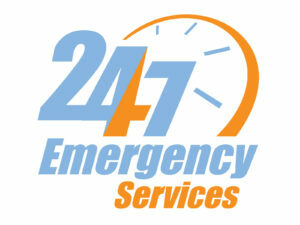 We look forward to hearing from you so we can prove we have the best Emergency Services to offer you and your family. Are we braggin’? Yes, but with good reason! We continually receive a five-star rating on all contractor recommendation sites, and hundreds of customer referrals every year. That’s how we know we’re doing a good job, from the positive feedback we get and repeat business. We’re constantly receiving tweets and Facebook posts on our pages from happy customers who were helped during bad plumbing emergencies. Making customers happy makes us happy, that’s what we aim for every day. So far, we’ve responded to thousands of customers in cities like Grosse Ile, Southgate, Wyandotte, Taylor and Woodhaven that were pleased with our prompt service in their hour of need. So keep calm and call our expert plumbers today!